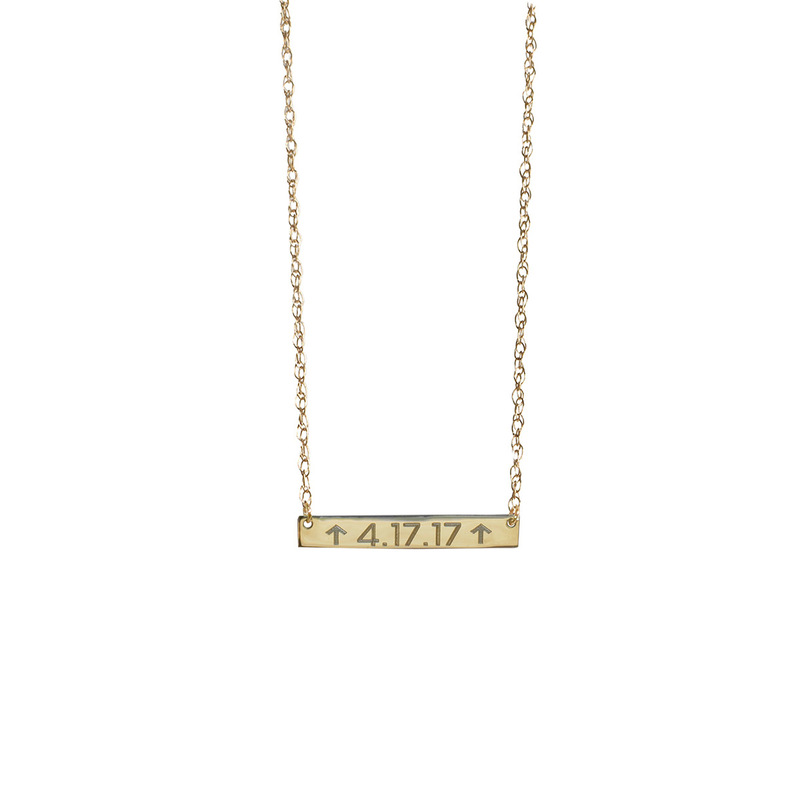 Celebrate your valor with the "Survivor's Badge" 14-karat gold nameplate necklace. The bar is 25 x 15mm and is on a 16-18” adjustable chain. 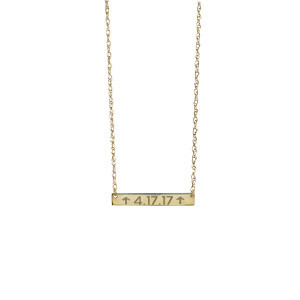 Engraving available on back of pendant with a special date alongside SU2C arrows. Golden Thread founder, Jennifer Welker, has created this collection specifically for Stand Up To Cancer to express her dauntless resolve to stand together with everyone – including each of you -- sisters, mothers, daughters & friends -- to change the story of cancer. Before starting Golden Thread, Jennifer was an ICU Nurse. As a former nurse, to be pairing her two passions -- accessories and helping others, there is no greater joy for her than to be part of this great cause. To be partnering and designing for a greater purpose, helping to raise money and awareness for a cause that affects us all, there truly is no greater honor either. We are privileged to have this role in helping end the fight! 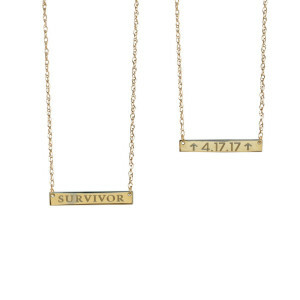 Each piece in the SU2C Collection is symbolic of the valiant global fight to stand up and defeat cancer! 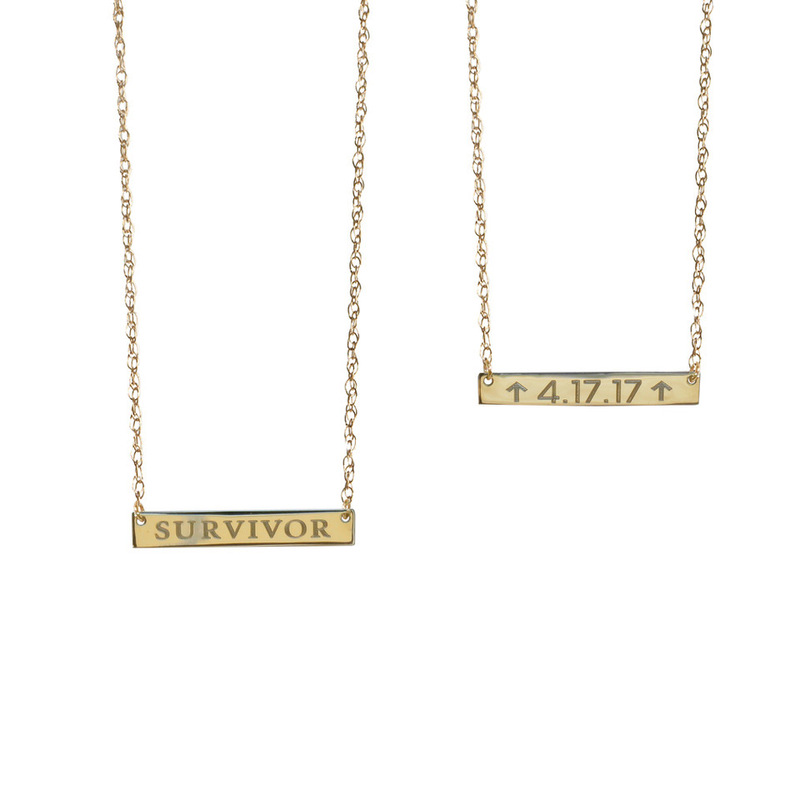 Each piece is a badge to be worn by survivors and everyone who is touched by any patient’s struggle.